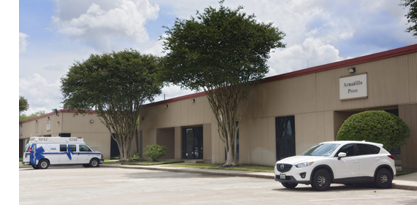 ​​​​​ HOUSTON – NAI Partners’ Investment Fund II has purchased Wells Fargo Business Park, a 104,212-sf property in the northern submarket. The two-building, one-story flex office park is adjacent to I-45. It is 88 percent occupied by a variety of local and regional tenants. The buy is NAI Investment Fund II’s second acquisition this summer. In July 2018, Fund II closed on a mixed-use shopping center in San Marcos. ​See also​: Houston-The Woodlands-Sugar Land Industrial Market Research​.